Simply put, I should like to see whether there is any closed question that has something in it meriting a reopen vote. How do I find the list of closed questions here? Use the search term closed:yes (or as Dan Bron suggests, closed:1). You can use it e.g. to exclude questions which are closed as duplicates. Not the answer you're looking for? 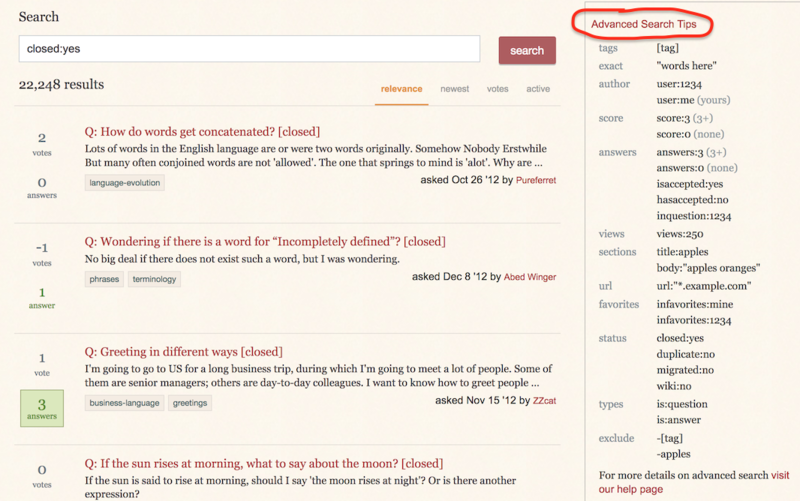 Browse other questions tagged support closed-questions search .